Beach litter is bad for wildlife and people but what can we do about it? – lots of things! 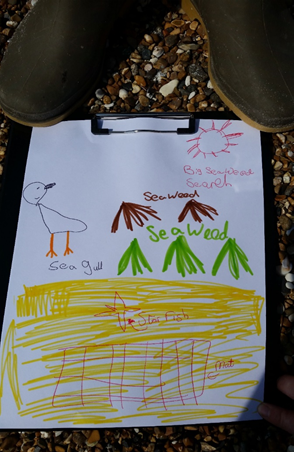 Join the Marine Conservation Society team to look at beach litter surveys and see how eagle-eyed you can be when it comes to looking for little litter bits in sandy and shingly beaches. We will have a mini beach set up so you can sieve for plastics and see what you can spot. There will also be a mini quiz to see if you can identify the litter item and we will be talking through our Beachwatch scheme and Cool Seas activities. All equipment/materials will be provided.